At least, I'm trying to! 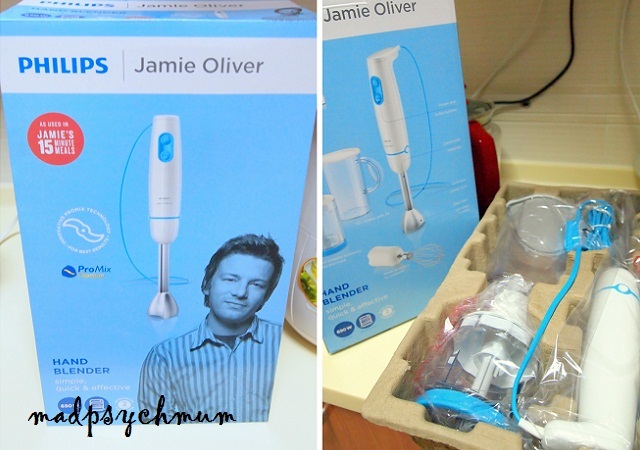 Everyone knows that cooking is a talent that God did not bless me with so I was really intrigued by the new Hand Blender developed by Philips in collaboration with celebrity chef Jamie Oliver. Oliver's vision was to create a series of blenders and food processors that were easy to use (even for Kitchen Noobs like me!) yet versatile enough to prepare anything from gravies to salad dressings. The blender also comes with a set of exclusive Jamie Oliver recipes to get you started (more tips and recipes here). 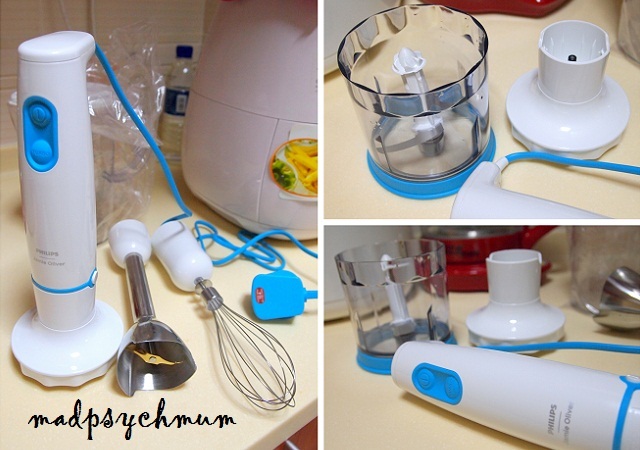 The blender bar, whisk and chopper are interchangeable and can easily be attached to and removed from the main body. I thought that was very convenient! We decided to make watermelon juice since we had some watermelon in the fridge. As we weren't sure whether to use the chopper or the main blender bar, we decided to use both and compare the difference. 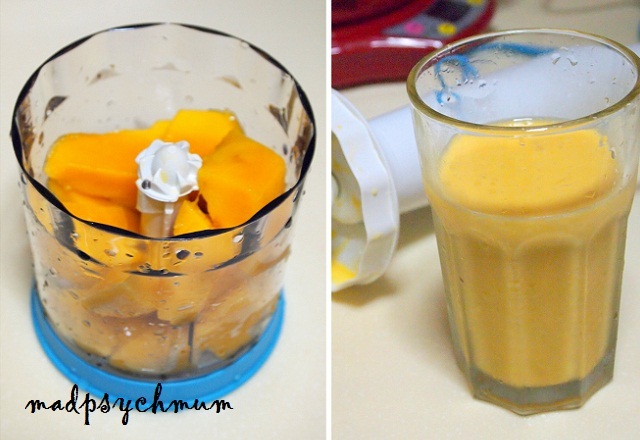 This beaker is really useful when preparing pancake batters or smoothies with your hand blender because if you don't finish the batch, you can just pop on the lid and keep it in the fridge for later. Very convenient! Other than the fact that the juice made with the chopper is slightly finer, there doesn't seem to be any difference between the two. But I guess if you want more juice, you would have to use the blender in the beaker as the quantity that can be placed in the chopper is very limited. When we realised how easy it was to blend the watermelon into delicious juice, we started to rummage our fridge for more fruits to make into juice! 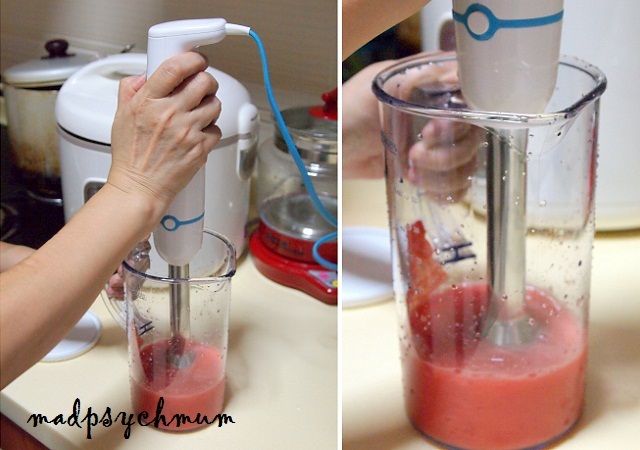 Another benefit of the hand blender is its versatility. As Jamie Oliver says, "being handheld means it can be used to blend directly in your pan, whether it's a pot or even a deep roasting tray for the perfect gravy." 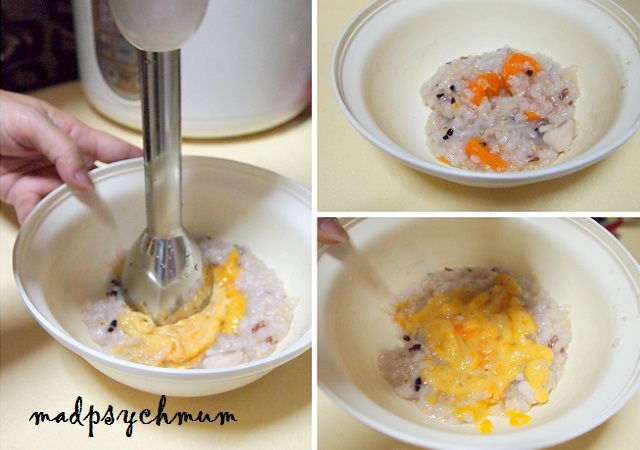 So we tried to blend some porridge to test if it works. 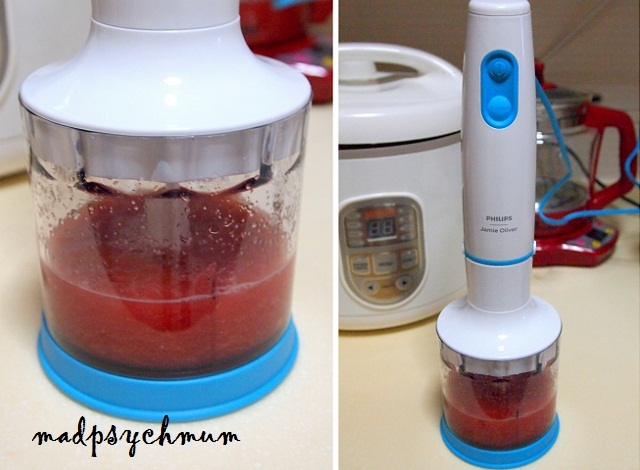 I really like the Philips Jamie Oliver Hand Blender as it is lightweight, convenient and easy to use and wash. Folks with dishwashers would be happy to know that the blender accessories can be safely washed in a dishwasher as well. However, the Hand Blender may not be suitable for big families of more than 5 people as it is only able to blend small quantities. 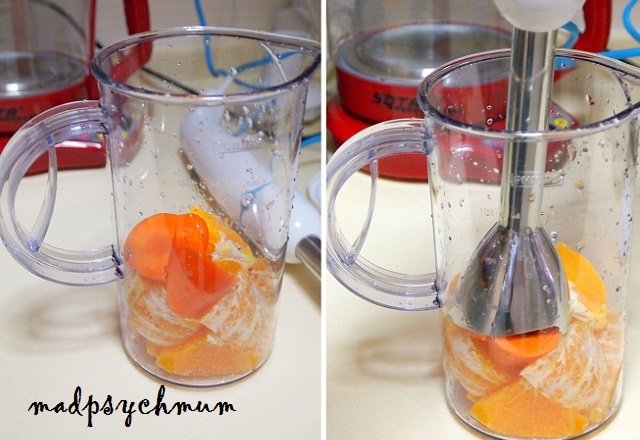 You may need the Philips Jamie Oliver Food Processor or Blender instead. Disclosure: This is Part 1 of a series of sponsored conversations on behalf of Philips Electronics Singapore. All opinions are my own.